Putting aside brokerage assumptions about Maruti Suzuki’s poor performance in times to come, chairman R C Bhargava (below left) is confident of his company performing good on the back of strong fundamentals. Analysts and mutual funds say you would need new capital expenditure virtually every year to expand in five years. 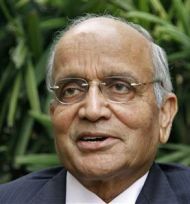 This would lead to higher mark-ups on the cars made in Gujarat, hitting Maruti Suzuki’s profit. All their calculations are totally exaggerated and flawed because of their wrong assumption of growth. Analysts say in five years, we will increase production to 1.5 million cars in Gujarat. This implies a CAGR (compound annual growth rate) of 15 per cent. But there is no evidence anywhere to show that we will have such a high sales growth. In 30 years, we reached one million, now analysts claim in five years we will climb to three million. For us to grow at 15 per cent, the economy should grow at nine per cent. There is nothing to show this will happen. Currently, growth is down to five per cent. 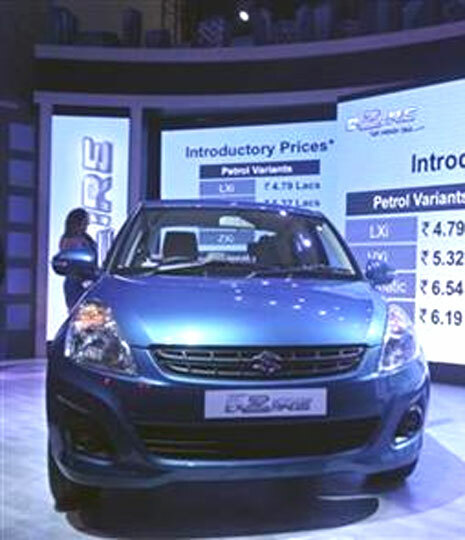 Image: Prices of the Maruti Suzuki's Desire were slashed post Budget. So, what is your assumption? 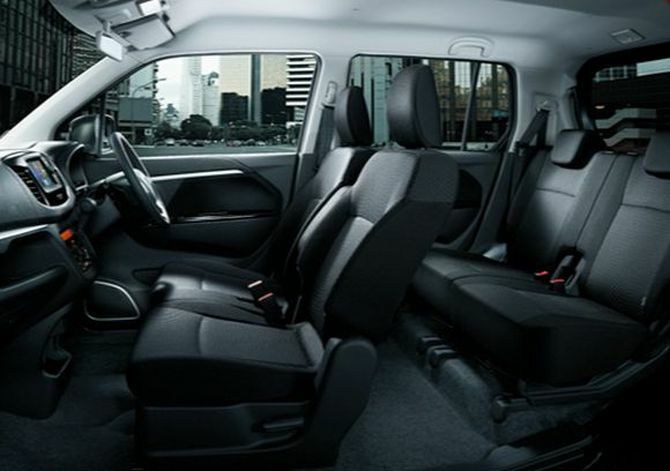 What Suzuki has said is the unit would be commissioned with an initial capacity of 100,000 cars. Expansion after that will depend on demand. Each assembly line will cost us Rs 3,000 crore. Our capacity use in Haryana is 1.17 million units; we have an idle capacity of 330,000 units. The implied assumption in starting the Gujarat plant is sales will grow at a CAGR of seven-eight per cent. Whether that will happen, I do not know. But if this is our expectation over the next three years, how can you double our capacity requirement in five years (2017-2021), as analysts have assumed? Image: A model poses with the Ritz. So, what is your business case for Gujarat based on? We are expecting sales of 100,000 cars every year over our present volumes. Even if I include exports, growth rate would come to around eight per cent. It might happen that we do not need Gujarat even in 2017. What kind of capacity we need in 2018, we can decide in 2016. If we start the first plant in 2017, we can quickly go up to 300,000 units as the basic infrastructure will be there. To grow from 1.2 million units to 1.8 million units will mean growing our volumes by half. At a CAGR of eight per cent, we will take five years to reach that. Look at how wrong we have gone with our existing facilities. We have engine capacity lying idle. Nobody is considering that. Is that adding to our margins or decreasing it? At eight per cent CAGR, I would take nine years to double to 2.4 million. It still is not three million units. And, that would take me till 2023. 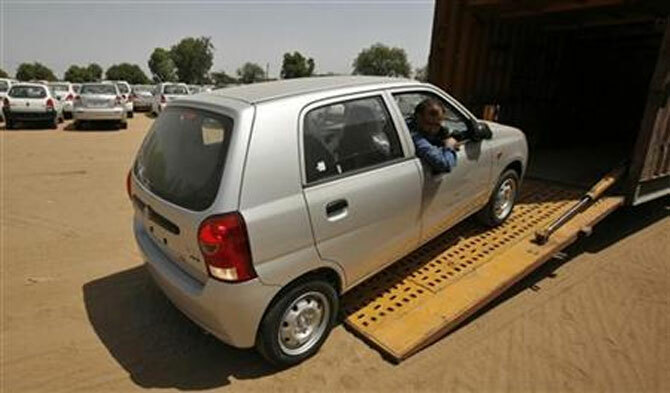 Image: A worker unloads an Alto. You have said there would be some mark-up on the cars coming from Gujarat that will fund expansion, apart from money from depreciation and equity infusion. That has worried analysts who think most of it will come from mark-ups. 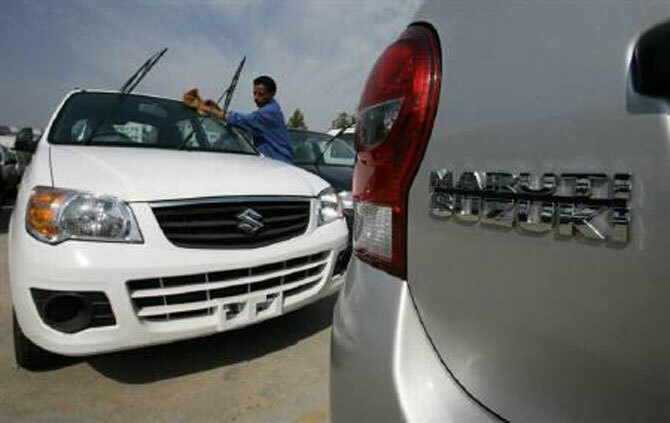 How would Suzuki price cars it sells to Maruti Suzuki to fund capex need? A plant is usually depreciated over eight years at 12 per cent a year. If the first plant starts in 2017 with an initial capacity of 100,000 units, it will be fully used (at 250,000 units) by 2018-19. We will need new capacity only in mid-2019 or early 2020. 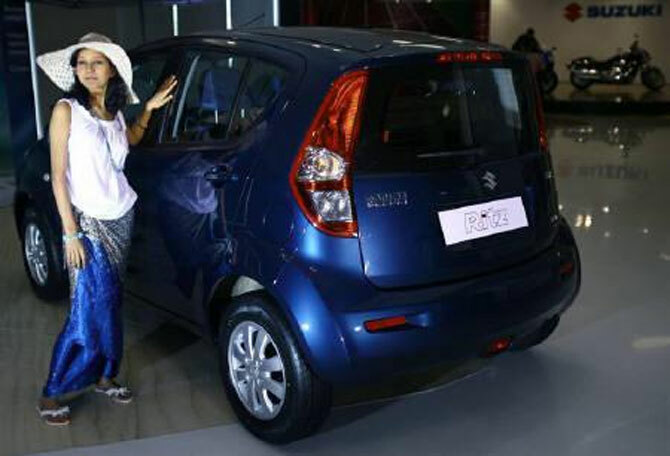 Image: Maruti drives in new small car Celerio at Rs 3.9 lakh. But what would the cash be from the mark-up on cars? 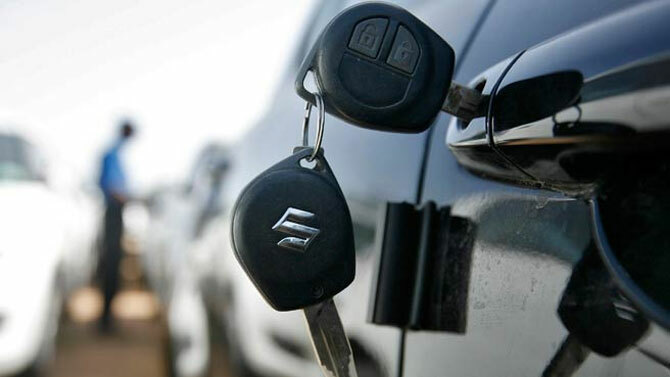 What O Suzuki said while announcing the arrangement and what I am saying is that the whole scheme is designed to create a win-win situation for all parties, including Maruti Suzuki shareholders. What is the reason to believe that this statement by O Suzuki or me is false? Is there any evidence from the last 30 years to suggest that Maruti misleads people? Do we have some credibility or not? Why is it this time analysts are showing such distrust? We have clarified Suzuki will bring in new equity to the extent necessary. They are assuming that will be brought in “if” necessary. They are assuming Suzuki will not bring in equity but only put a mark-up on the cars. How will you fix the mark-up? 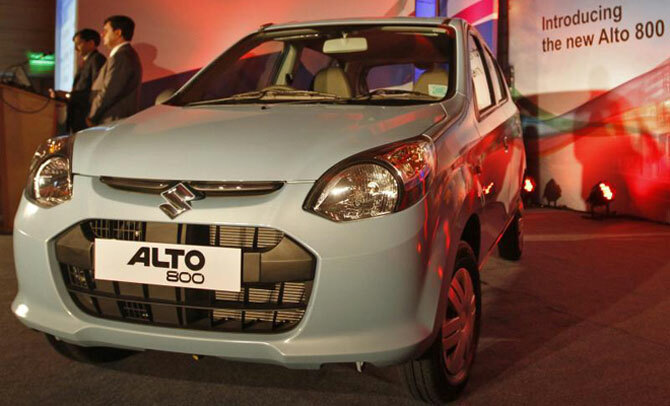 Maruti shareholders will get cars from Suzuki at the cost of production, along with a mark-up. But the mark-up will be lower than that determined by Maruti on cars we ourselves manufacture, as it will not include the cost of capital. The mark-up will become less with new assembly lines, providing us with a larger depreciation fund; also, it would be spread across a larger number of cars — around 600,000 — for the third plant. The mark-up will be highest when the second plant comes up and fall after that. Analysts are assuming the second plant will come up next year after the first and the mark-up will fully support capital expenditure needs. In the first phase, there won’t be a mark-up as Suzuki will bring in equity. Image: A worker cleans a parked car at the Maruti Suzuki's stockyard. How much does Maruti Suzuki reduce its mark-up by not considering a return on capital? And, won’t this be neutralised by the fact that you have to pay a mark-up on the cars from Gujarat every time new investment is made for expansion? Assuming a return on capital of 15 per cent, I would expect to earn Rs 450 crore. From an investment of Rs 3,000 crore. So, if I am making 300,000 cars, it means a mark-up of Rs 15,000 a car. This would not be required as the car will be made at the Gujarat plant. Even if one assumes the mark-up of the Gujarat car is Rs 11,000, I am still better off by Rs 4,000. When capex is not required I am better off by Rs 15,000. If someone was to do the project independently, he would charge Rs 15,000 plus whatever the market justified. But they (analysts) will say instead of Rs 15,000, the mark-up is Rs 20,000 and that is how the decline in Maruti margin comes in. And, that is again wrong. Also, I would have with me all the money I would otherwise invest in Gujarat. I will get an interest return of Rs 1,500 crore annually, boosting the bottom line. 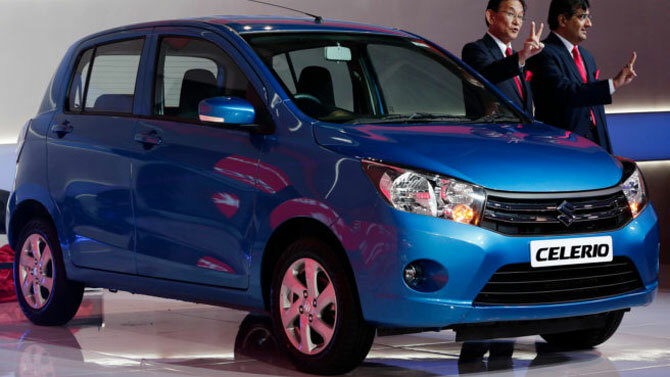 Image: Celerio will replace the A-Star globally.